Hi guys! 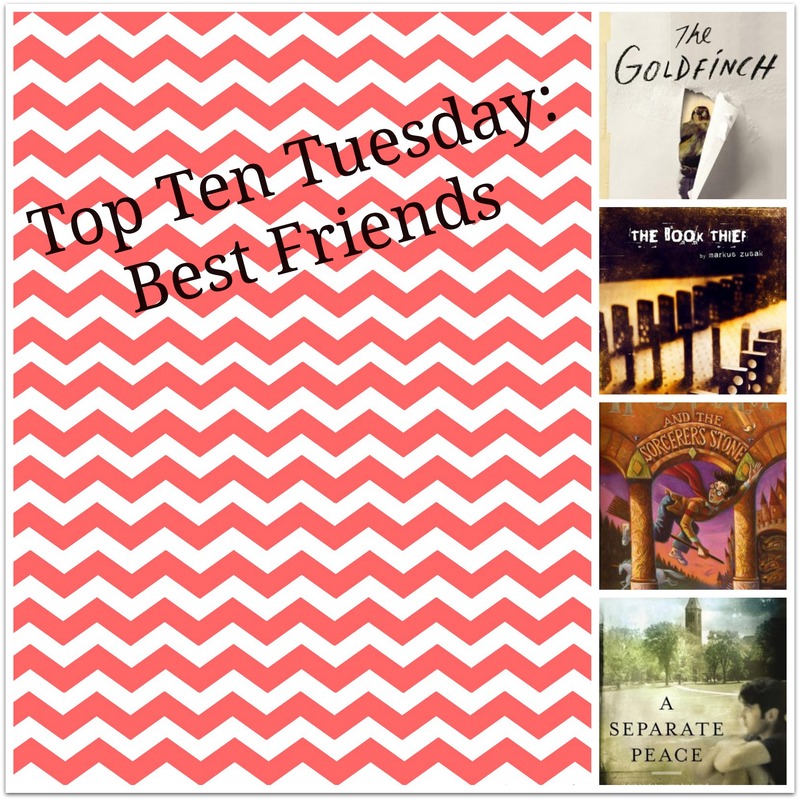 It’s been a while since I’ve done a Top Ten Tuesday, the weekly lit list hosted by The Broke and the Bookish, but I am back and ready to talk about my favorite literary friendships! 1. Harry, Ron, and Hermione. I know they’re on everyone’s list this week, but they are the ultimate friendship trio forever. 2. Theo and Boris from The Goldfinch. Boris irritated me, but I did love his relationship with Theo, and the way it withstood all that time and everything they went through together. 3. Liesel and Rudy from The Book Thief. At this point, we know how I feel about this book. But we can also talk about Liesel and Max and that friendship and even Hans and Rosa and Liesel. Just everyone. 4. Gene and Phineas from A Separate Peace. 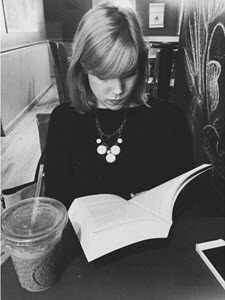 This book explores friendship in a really weird way, and gets at the complexities and jealousies that exist among friends, even best friends, and the consequences that stem from those feelings. 5. Alaska, Pudge, and the gang from Looking For Alaska. The books, the last words, the pranks. Pudge went from being a loner to having a group of friends so unique, who wouldn’t love them? 6. Huck and Jim from The Adventures of Huckleberry Finn. One of the most classic stories of friendship, Huck and Jim’s journey down the river is one of the best stories of friendship I’ve ever read. 7. Juliet, Dawsey, and everyone in The Guernsey Literary and Potato Peel Pie Society. I will forever be wishing they would invite me to be a part of their book club and friendships. 8. Minnie and Abileen from The Help. They’re strong and funny and help each other through some really hard times, and I loved every minute of them. 9. Charlie and Sam and Patrick from The Perks of Being a Wallflower. This always seemed like one of those books I would like and relate to less as I got older, but it never has, and now I doubt it ever will. I love Charlie, and his relationship with Sam, and his friendships with her and Patrick and Mary Elizabeth and Alice SO MUCH. 10. Sherlock and Watson from The Adventures of Sherlock Holmes. So okay yes, I am picturing the Benedict Cumberbatch/Martin Freeman version of this duo but who cares. I have read the books and they are awesome, snarky, sleuth-y friends and I miss them. That’s all I’ve got! Who are some of your favorite fictional BFFs? P.S Let’s look past the part where this is TECHNICALLY getting published on Wednesday.